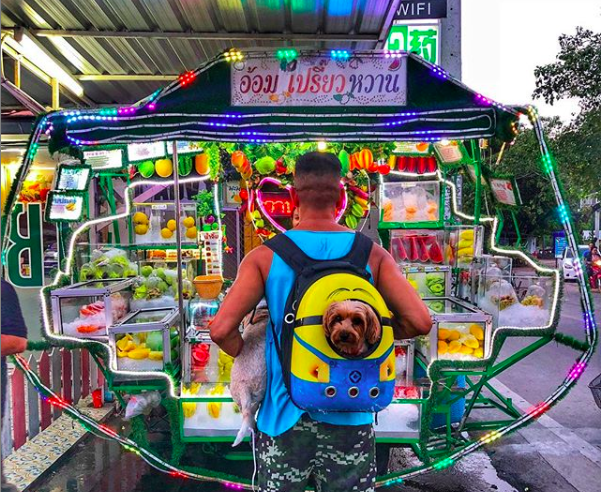 When I moved to Thailand in October 2018, I was worried that it was almost a guarantee that I would gain weight. Thailand is known for delicious (and cheap) street food with many of their dishes featuring rice and noodles as the primary ingredients. The iced coffees in Thailand are often loaded with condensed milk and sugar. The desserts (like mango sticky rice) are spectacular. And the nightlife of Thailand – from Bangkok to Phuket and even little beach towns like Hua Hin – is awesome. It’s even more fun because it’s super cheap compared to partying in America. For example, it cost me $100 USD for bottle service with top notch table service at Sugar Club Bangkok last week. This would have cost me $700 USD at a place like Greenhouse in NYC. 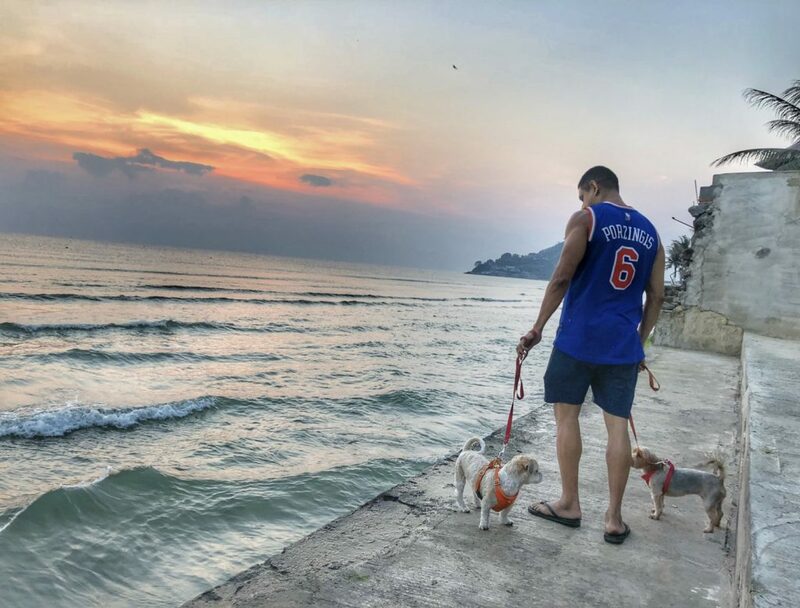 With that said, I not only was able to gain muscle mass while living in Hua Hin, Thailand (and exploring the rest of the country) but I was able to lose fat as well. 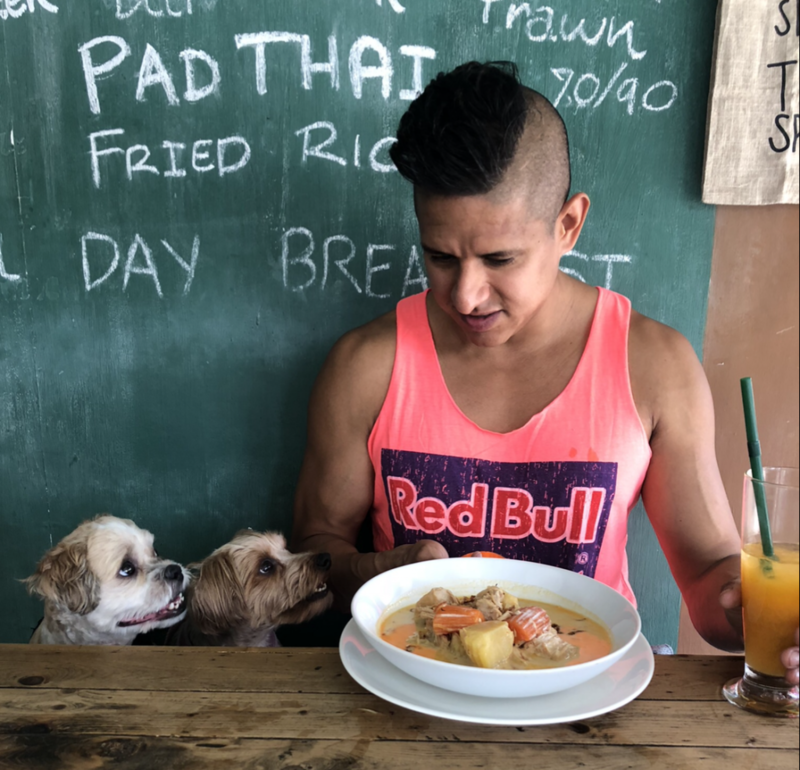 I am going to share some basic tips and strategies that I used to improve my health and aesthetics during my time in Thailand. The cool part about this article is that many of these tips will work for anyone no matter where they live. These are simple, common sense tips that almost anyone can immediately incorporate into their daily routine and it will make a positive impact on their health. When I lived in the US, my Starbucks order was “venti iced coffee, splash of soy milk, 2 pumps vanilla syrup.” Typically, Starbucks puts 5 pumps of flavored syrup into their venti drinks which translates to over 100 calories. if you’re drinking 2-3 of these a day, you’re adding 200-300+ calories into your day just from coffee. Thailand takes it to the next level by adding condensed milk. While this makes their coffee absolutely delicious (almost like a dessert), I removed all condiments from my coffee and drank it black. It took me awhile to get used to the taste but after I did, I felt so much healthier and leaner. Also, my favorite spot to get freshly-brewed iced coffee was 7-Eleven (they have cafes in Thailand). Take it from @maxlugavere, Author of New York Times best-seller Genius Foods. With pad thai being one of the most famous dishes in Thailand, I mostly avoided anything that had rice or noodles. Instead, I ordered a plate of stir-fried or grilled vegetables to pair with my proteins (typically chicken with peppers and onions). This filled me up without all the extra calories from carbs. 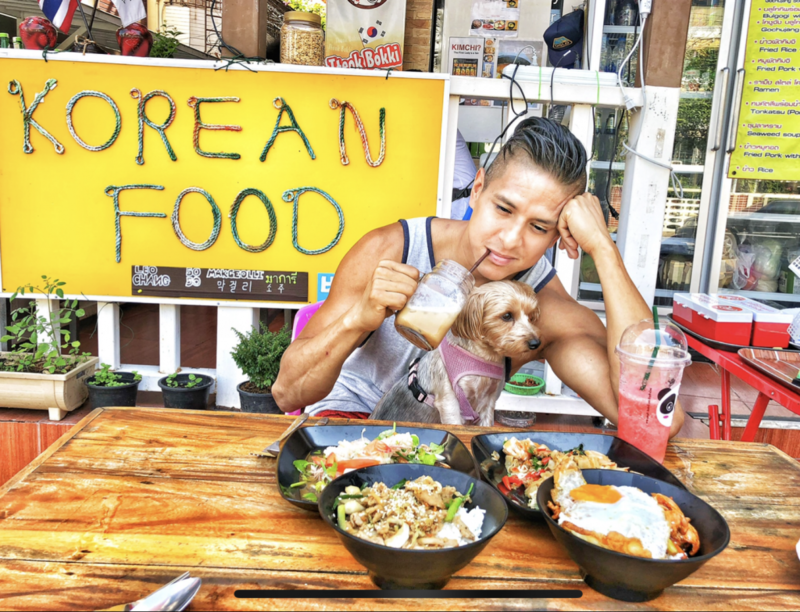 Korean Conner : the best Korean restaurant in Hua Hin! I never finished the rice. When I drink, it’s whiskey, tequila and vodka (no mixers). Beer is an inefficient way to get a buzz. It’s a lot of calories, it makes you feel bloated, and it puts a tire on your stomach. To be clear, any amount of alcohol is not good for you if you’re trying to build muscle and lose fat. It’s empty calories, it makes you hungover (which negatively affects your workout the following day), and it hurts your recovery. I kept drinking to 2-4 nights a month, which is almost like being completely sober in Thailand. Whether or not you’re new to lifting weights or you’ve been doing it for awhile, you know that consistency is the number one rule. The fitness program I primarily used was Anabolic Aliens on YouTube. What I like about this channel is that the host, Mike Rosa, does his HIIT routines along with you. He doesn’t just explain what to do but he does it in real-time. He’s put together routines as short as 5 minutes that have seriously killed me. His channel is good for gym rookies (both men and women) and bodybuilders who want to mix things up. And if you find yourself in Hua Hin, the gym I recommend is Metamorph Hua Hin. It’s the only boutique gym in Hua Hin and they offer both personal training and yoga. Their day passes are 150 baht but you get a better deal the longer timeframe you buy (1 week, 1 month). The owners O & Nick have become good friends of mine so if you go there, tell them I recommended it. And if you’re in Hua Hin during the full moon, they have full moon meditation. BeFreeMySheeple Guest Correspondent Bear Williams with O, one of the founders of Metamorph Hua Hin. I had a bicycle during my time in Hua Hin and I would sometimes find myself biking 10-15 km in a day. It didn’t feel like I was exercising because I was just trying to get places but it added up. If you live in a climate where you’re able to walk or bike between places, take advantage and sneak some additional calorie-burning into your daily routine. Even when I was eating mango sticky rice, I needed to find a way to not finish all the sweet rice. My solution was to share some with my dogs! Now to those who say that this isn’t healthy for my dogs, understand I love them more than anything in the world, but also that they walk anywhere between 3-5km a day. They walk more in 1 day than most dogs walk in a week. The point is that they burn off all the calories that daddy feeds them. Whoooooose a good girl? Whoooooose a good boy? Whatever I eat, they eat. Except for things likes onions, chocolate, raisins, etc. Given my night owl schedule, I would often eat dinner around midnight. I found restaurants like Conom on the Rock on Soi 88 that had healthier options such as roasted chicken. Another hack that I discovered was that the 7-Elevens in Thailand had refrigerated grilled chicken packets that they could heat up in the microwave for you. And they only cost 40 baht ($1.33 USD)! With 20 grams of protein and only 90 calories, these snacks were life-savers. I would sometimes eat 2-3 of them for dinner, and of course share some with my dogs. 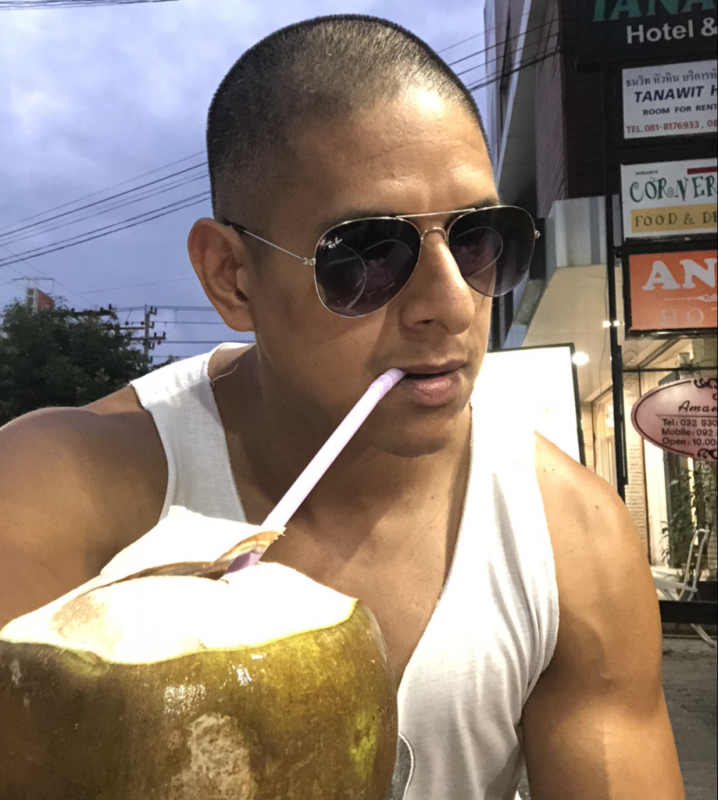 Every day, one of the moments I would look forward to the most was getting to the beach and immediately ordering a cold fresh coconut. I didn’t even realize how beneficial coconut water was for weight loss until recently. This article from Women’s Health explains how powerful coconut water is for weight loss, or you can read the below from NDTV.com. Some people say that fruit will make you gain weight because it has carbs and this is half-true. Yes if you eat 5 pounds of fruit a day, you will almost certainly gain fat, but according to Healthline, “Fruit is low in calories but high in nutrients. Eating it in place of a high-calorie snack can help increase weight loss.” So there you go. If you have a sweet tooth, and a craving hits you, it’s better to have a freshly-cut, cold pineapple, than a Snickers. If you’ve been a good boy or girl and you’re looking for a place to get delicious, home-baked desserts in Hua Hin, the Pang Hwan Bakery (across from Hua Hin’s Big C) is a must. My uncle said their pandan pudding is the best dessert he had during his entire time in Thailand. What are some simple weight loss tips that you know of? Leave a comment or you can e-mail me adam@befreemysheeple.com. If you enjoyed reading/watching this, you can follow me on Instagram, @adamfrancisco & @befreemysheeple. Thanks man! Coming out with another Hua Hin post soon and you’ll be in that one.